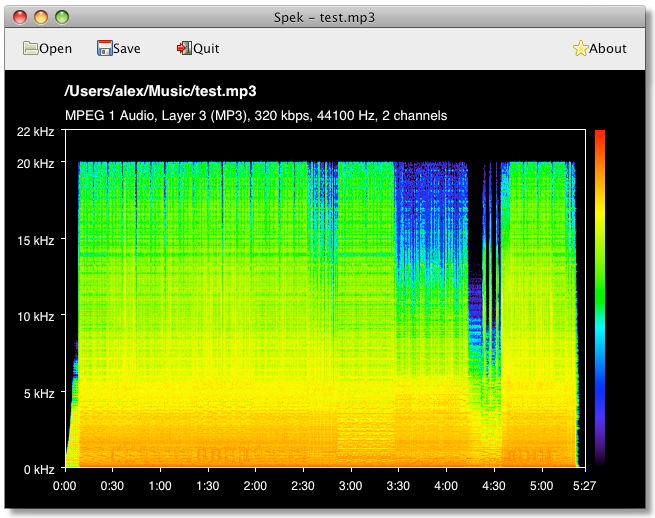 I'm happy to announce the release of Spek 0.7 – a multi-platform acoustic spectrum analyser. This version features multi-lingual support and a much better OS X integration. It also includes performance tweaks and many bug fixes. Read the NEWS file for a full change log. Download links and installation instructions are on the Spek website, get it while it's hot! I'm happy to announce the release of Spek 0.6 – a multi-platform acoustic spectrum analyser. This version is about 3 times faster than 0.5 thanks to the lightning-fast FFmpeg decoders and the new multi-threaded analysis algorithm. Read the NEWS file for a complete change log. GStreamer is a fantastic framework for building complex multimedia pipelines, however what Spek really needs is a simple decoder and FFmpeg's libavformat and libavcodec do just that. To handle some audio formats (e.g. APE and DTS), GStreamer relies on FFmpeg anyway, so the switch will result in fewer dependencies. It doesn't matter too much on GNU/Linux, but this will reduce the size of the Windows and Mac OS X installers. 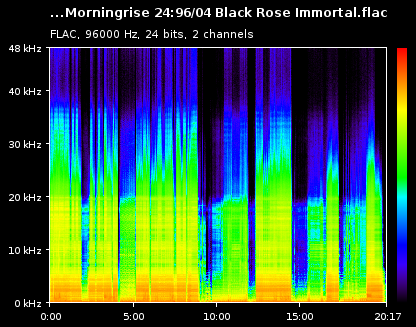 Spek used GStreamer's spectrum plugin to perform the actual spectral analysis, with FFmpeg I had to implement it myself. The code I ended up with is very compact and gives room for a lot of experimentation, from using different window functions (it's still Hamming) and working on performance optimisations to switching to a faster FFT library. The last bit is actually done, Spek now uses FFTW which in my tests is 1.5x to 2x faster than Kiss FFT used by GStreamer. Apart from that, FFTW can scale to multiple threads with near linear performance increase, future versions of Spek will take advantage of this. UPDATE: As one of commenters pointed out, FFTs on small number of samples are not very parallelisable and my benchmarks confirm this. Also, I switched from FFTW to avfft which is built into FFmpeg. It's a little bit faster than FFTW for my particular use case. Lastly, 1.5x to 2x speed up was actually caused by a faster decoder, not by a faster FFT library. Another thing that would be hard with GStreamer is static cross-compilation using mingw-cross-env to produce a single Windows executable. Because FFmpeg doesn't employ a plugin architecture, static linking is not an issue. Last, but not least, the whole experience was very educational. I now remember why I loved C back in the days, the trick is to not even attempt to write any GObject code with it, that's what Vala is for. Fast Fourier Transform and the maths behind it is much fun, and NR was very helpful here. For the curious, the code is merged to git master and pushed to Gitorious. The next version of Spek will be released sometime in July. I'm happy to announce the release of version 0.5 of Spek, a multi-platform acoustic spectrum analyser. Significantly speed up spectral analysis by using the optimal number of frequency bands. Distribute Windows version as a ZIP archive in addition to the MSI installer. Use Pango to render text. This is the first version of Spek that features a Mac OS X port. All binaries in the app bundle are compiled completely from scratch using a slightly modified version of Aaron's excellent bockbuild project (the same tool that is used to package Banshee for OS X). 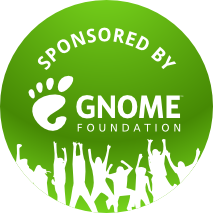 If your project uses the GNOME stack and you want to port it to Mac OS X -- give bockbuild a try. Check Spek's bundle script for gory details. I've just released version 0.4 of Spek -- an acoustic spectrum analyser for GNU/Linux and Windows. Show the name of the open file in the window title. Show file name and its properties in the window. Grab Spek 0.4 while it's hot, the source code tarball and the Windows installer can be downloaded here. A special "thank you" to users of a popular private tracker, their great suggestions helped to shape this release.